This summer the Los Angeles based Troubadour Theater Company is reprising its role as masters of the Shakespearean mash up. Ladies and gentlemen, I give you A Midsummer Saturday Night’s Fever Dream. I was fortunate enough to see the show this past Sunday night. 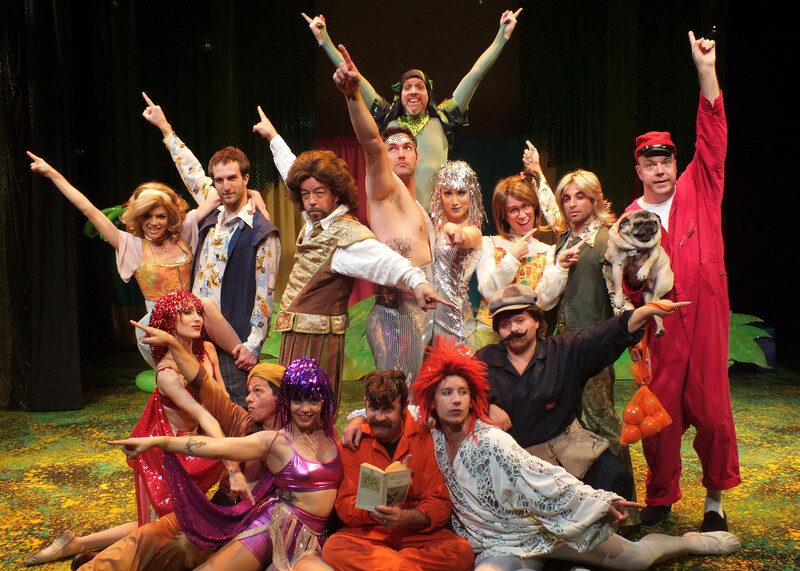 Being a Troubadour show (whose cast is full of talented actors, dancers, circus clowns, and comedians), it had a playful blend of improvised laughs and Shakespearean humor, making it a fun way to bring Shakespeare into modern times. Then again, I’m a sucker for a Shakespearean remix, whether it be Ten Things I Hate About You or the recently released Joss Whedon adaptation of Much Ado About Nothing. To me, nothing proves the timelessness of the Bard’s work more than the masses of entertainers who clamor to reinvent his work some four centuries later. Undoubtedly, students feel the same way. Year after year, teachers struggle to devise methods to make Shakespeare’s Early Modern English language relatable to teenagers. Which got me thinking… why not incorporate the idea of a Shakespearean mash up into a class project? For students who have difficulty getting past the words and on to the still very relevant plot, it could be a great way to help students really grasp a play’s central ideas. Plus, what with the popularity of Glee-style mash ups, student engagement would surely increase. What say you? But back to the Troubies. If you’re in the LA area I highly recommend finding out more about the groups past and future productions over on their home page. A Midsummer Saturday Night’s Fever Dream has just added new shows, which means it’ll run until July 16th. Catch it if you can! What Shakes shake ups have you enjoyed in the past? How do you feel about a Shakespearean mash up? Tell us your thoughts in a comment!